Happy Q: THE WINGED SERPENT Day! Cue the funk. 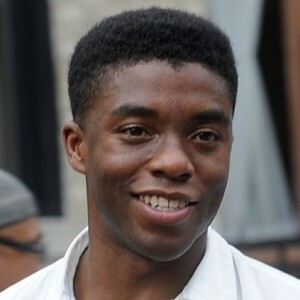 A James Brown biopic from The Help director Tate Taylor is moving forward and they’ve cast 42 star Chadwick Boseman in the eponymous role. This is a big gig for Boseman- he’s already played one iconic African-American pioneer in a highly cultivated (if ultimately thin) major-studio production, and now he’s joining another by an Oscar-proven director. In terms of blowing up your profile with some awards-bait, this is the way to go. The guy is definitely a talent, though I’m curious to see what he’s capable of in a film that doesn’t hold him back. Jackie Robinson was a figure of quiet courage and controlled temperament. 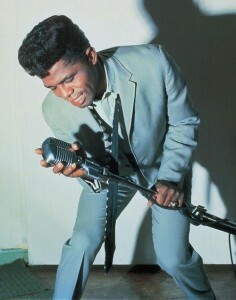 James Brown was very much not. Between his six decades of work in the music industry to his sometimes rocky personal life, run-ins with the law, and paling around with presidents like Nixon and Reagan, there’s enough in James Brown’s life to fill ten movies. Taylor’s film will be based off of a script from playwrights and screenwriters Jez and John Henry Butterworth, and apparently follows Brown’s early life and success through the 60s and 70s. Brown was one of the many popular victims of disco, with his his hits largely drying up in the era before a later resurgence. The Universal film will shoot mostly in Mississippi. No word on a start date yet.